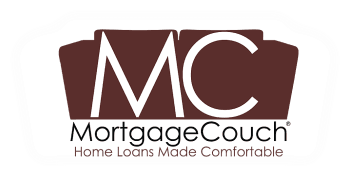 MortgageCouch offers a variety of robust mortgage programs to accommodate any and all lending needs that individuals and families may have. We even offer programs for lower-credit borrowers who have credit scores as low as 620. We also offer a Premium Program for high-credit borrowers. We at MortgageCouch know that purchasing a home is a special moment. For most people, purchasing a home is the largest purchase that they will make in their life. With that being said, purchasing a home is stressful, putting unneeded and unwanted strain on families. Now, it is a common misconception that a low FICO score prohibits individuals from buying a home. It doesn’t, but it can affect what kind of interest rate will be paid on the loan. A person with a low FICO score may be required to make a larger down payment than a person with a better credit score. There are many reasons why people choose to refinance their home. For one, refinancing a home often results in people paying less on their monthly payments. Typically, incomes for families tend to rise over the course of time that they own a property. With increased income comes the assumption that their credit score has gone up, and that they are able to make their monthly payments on time. The FHA (Federal Housing Administration) is the largest mortgage insurer in the world. Most mortgages issued in the United States are issued by the FHA.